Designed to fit and flatter your figure, the floaty tiered skirt falls from the empire waist, hitting just above the knee and allowing plenty of room to grow. The simple top offers wide bra-friendly straps and easy button down access for nursing after baby is born - making this style perfect before, during and after pregnancy. 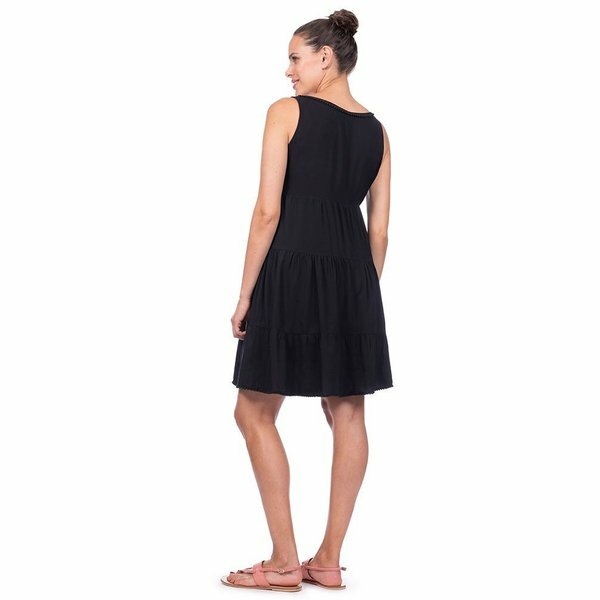 This versatile black maternity and nursing dress is a summer essential, transitioning effortlessly from day to night and from maternity to motherhood.